The applicant must not be less than 18 (eighteen) years old and must not be more than 27 (twenty seven) years old as on 01/01/2018. The Upper-age limit shall be relaxed for the SC/ST candidates of West Bengal only by 05 (five) years and OBC candidates of West Bengal only by 03 (three) years. The upper age limit is also relaxable for the Ex-servicemen, NVF and Home Guards Personnel (serving in West Bengal Police only) as per existing Government Rules. However Age relaxation is NOT available to Civic Volunteers. 8. 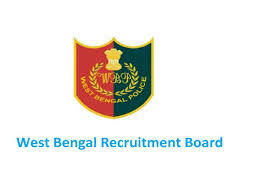 The filled up application form may be sent only by post addressed to the Chairman, West Bengal Police Recruitment Board, Araksha Bhaban (5 th Floor), Block– DJ, Sector – II, Salt Lake City, Kolkata - 700 091 superscribing on the envelop NAME OF THE RECRUITMENT, NAME OF THE POST applied for and APPLICATION SL. NO. The same should reach this office positively within the last date and time as mentioned under Para - 10 of this instruction.